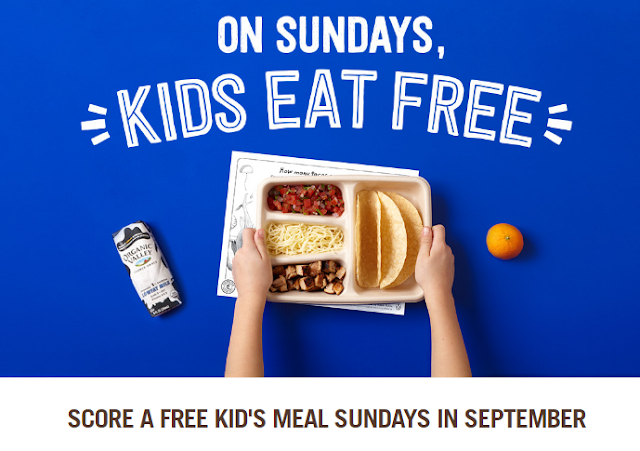 At Chipotle every Sunday in September, kids eat FREE with the purchase of a burrito, bowl, an order of tacos or a salad – NO coupon needed! The free kids meal comes with a Dragons Love Tacos activity sheet and is valid for kids 12 and under. Please note that this offer is not valid for catering orders. Go here for more information.